Dan Solomon started his career in floorcovering in 1981, and to this day he continues to leave a mark on the industry. Before INSTALL became an official organization, Solomon was accepted into the preexisting apprenticeship program and since then has worked in the field. Now, as an INSTALL training coordinator and instructor, Solomon brings his years of experience to teach apprentices the trade and help them grasp the latest installation techniques. Since he entered training before INSTALL came to fruition, he has watched the program grow throughout the years. Solomon looks back on the development of INSTALL and remembers the anticipation for a program that could set standards and the “proper way of doing things” for the industry. Today, INSTALL continues to elevate education standards through its four-year apprenticeship program and collaborating with key players. 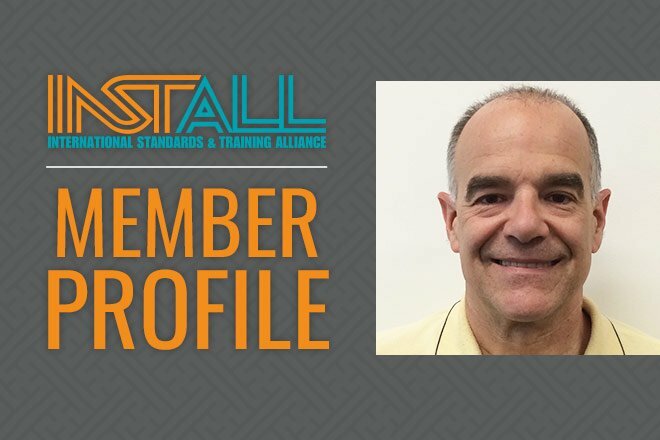 He feels the most important thing INSTALL brings to the flooring trade is the relationships between all parties involved, especially when it comes to working with the manufacturers to elevate training.